British stars have been recognised by Hollywood’s social elite in a new push to make the Academy of Motion Pictures Arts and Sciences more diverse. A record 928 members have been invited to join the Academy – which votes on the nominees and the winners of the Oscars each year – which is a significant increase on the 774 new members asked in 2017. 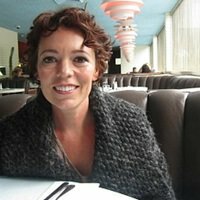 Among the names is a number of homegrown filmmakers, including JK Rowling, who only wrote her first screenplay, Fantastic Beasts and Where to Find Them, in 2016. 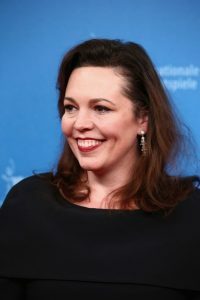 Olivia Colman, who has received BAFTA recognition but never Oscar; Brotherhood actor Noel Clarke; stage and screen actors Celia Imrie, Ben Whishaw, Toby Jones and Game of Thrones star Emilia Clarke have also been invited. Daniel Kaluuya, who earned a Best Actor nomination for his performance in the Oscar-winning Get Out earlier this year, is on the list, too. Academy officials hope that the new membership will improve the Academy’s much-criticised lack of diversity, which has repeatedly resulted in #OscarsSoWhite controversies during ceremonies in recent years, due to the lack of recognition of women or people of colour by the awards. The new membership has meant that 38 per cent of the Academy’s new class is comprised by people of colour – boosting the proportion within the Academy as a whole to 16 per cent (up on 13 per cent in 2017). Women, meanwhile, make up 49 per cent of the new intake, raising the percentage of women in the Academy to 31 per cent. Notable new US members include writers and actresses Mindy Kaling, Rashida Jones and Tiffany Haddish. Membership to the Academy is notoriously strict – applicants are not welcome, instead potential members must be “sponsored” by two existing members to be considered. If, like Kaluuya, you have received an Oscar nomination, then you can be considered without sponsorship. However, even then, members must meet certain requirements: directors, for instance, must have two directing credits within the past decade and actors must have racked up at least three theatrical credits in films that “are of a calibre that reflect the high standards of the Academy”.